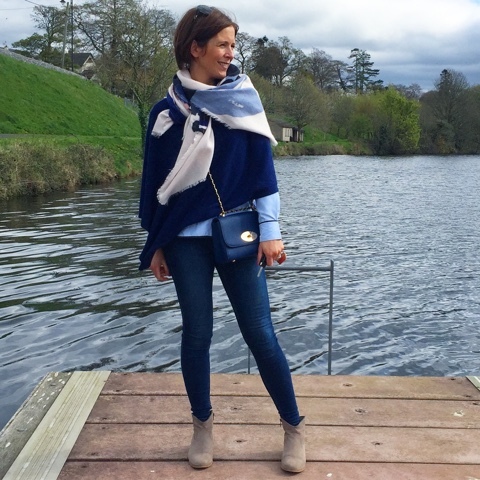 What better way to ease myself back into blogging again than a 'what I've been wearing' post! There are a ton of photos I've not shared from before Easter as I was so busy with work and then as you know, I've been in pyjama mode pretty much since. Starting with this outfit featuring one of those famous Primark/Penney's skirts that half the blogger population have been wearing on Instagram etc. It was a cold day so I wore it with a wool jacket and scarf. This was one of my painful days so I'll admit to not wearing this for long. 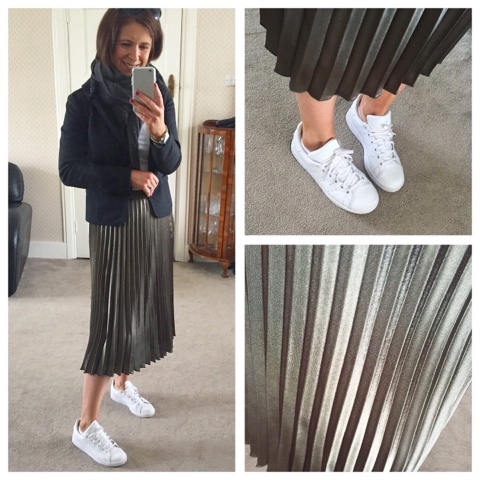 I'm really impressed with this skirt for €14 - it doesn't crease at all and can be dressed up or down. 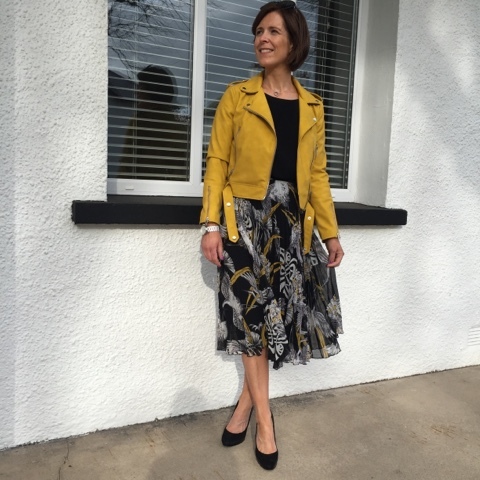 And finishing with a dressier one - the outfit I wore to the launch of our new candle brand - Field Apothecary, in Arnotts Dublin the other week. We had a ton of Irish press and bloggers attend and the candles were really well received. I need to get back to work now and start promoting them a bit more - starting with a competition on here for you all. Watch this space. 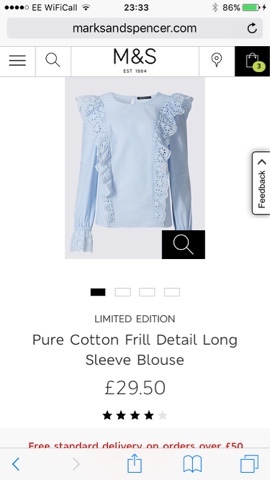 Being off my feet has given me time to peruse online and I spotted this frill detail top on my phone while lying around. My friend offered to bring me to M&S to buy it, which I did but unfortunately, it was too big...aarrgghh. I also think, the ruffles, while they're gorgeous, are not in the right places for me and the sleeves were SO long. I definitely suit showing a bit of arm. I did think about cutting the sleeves off but then decided against scissors while on drugs. Anyway, I fell in love with another top in M&S when I went back to change it for a smaller size so the moment has passed and I ended up getting a refund. This fab weather has me shunning all my long sleeves now - summer has arrived in Belfast! Last random thing to show you. 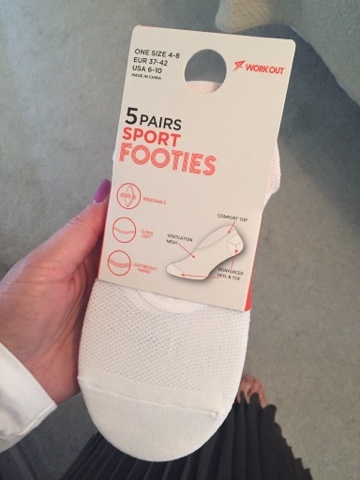 So many people have been going on about these footies from Penneys/Primark for wearing with trainers, so I bought a pack in Limerick. They're not for me - Converse Chuck thicker cotton socks are STILL the best buy for wearing hidden with trainers. These Primark ones are nylon based and my feet slid around in my trainers with them, a feeling I HATE! They would be good if you had trainers that are a bit tight to wear but they're not for me. They are invisible though and do stay on well so if you don't mind the nylon feel and the fact that they get lost so easily in the wash, go for it! And that's the randomness for today - I've bought a few other bits online this week from Topshop and Office and I'm waiting on them to arrive - I'll share if they're worth sharing. 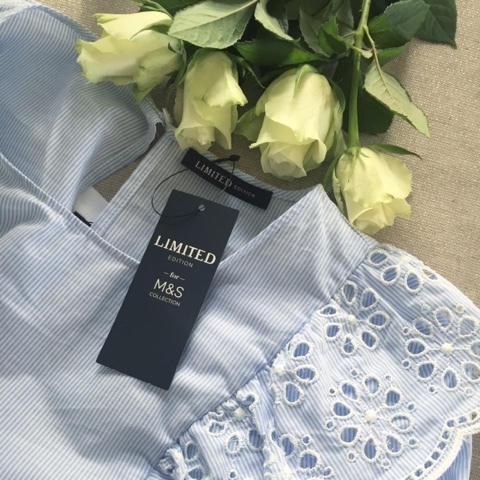 I've also been asked to do a review with M&S next week (unconnected to the top above, I hasten to add) so I'm looking forward to showing you the items I chose for it. Meanwhile, thank you to everyone who has been emailing and wishing me well...and most importantly, giving me advice and ideas on how to shift this nerve pain from my leg. I'm doing my stretches and I'm moving every day. There's a fair bit of pain but I know it'll shift of its own accord in a few weeks.....and then my yoga journey begins to get my stiff as a board hips a bit more flexible. That's for another blog post....stand by!